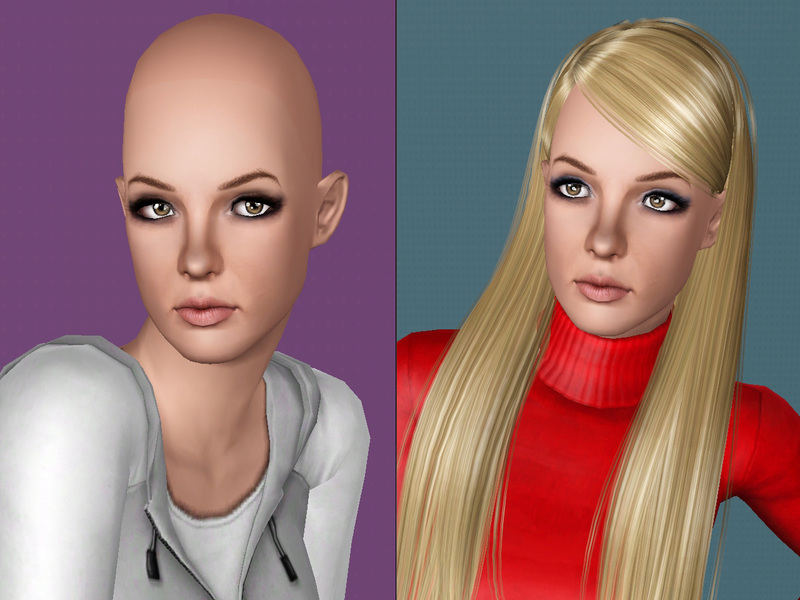 Hey guys, nine months ago i started working on a younger version of Britney spears and non default skin tone to fit on Britney's sim. After finishing Britney's sim ( Thanks to my friends in CFB ) i forget to upload her until doomer001 and ZeniMaxx send me a pm and asked me to upload her 2 weeks ago, as i premised i kept searching for the .sim file on my pc for a day till i finally found it in the recycle bin and now i can finally present to you Britney Jean Spears with her 5 different looks. An American recording artist and entertainer who was Born on December 2, 1981in McComb, Mississippi, and raised in Kentwood, Louisiana, she performed acting roles in stage productions and television shows as a child before signing with Jive Records in 1997. Spears's first and second studio albums Baby One More Time (1999) and Oops!... I Did It Again (2000), became international successes, with the former becoming the best-selling album by a teenage solo artist. Title tracks "...Baby One More Time" and "Oops!... I Did It Again" broke international sales records. In 2001, Spears released her third album, Britney, and played the starring role in the film Crossroads. She assumed creative control of her fourth album, In the Zone (2003), which yielded the worldwide success "Toxic". Spears began work on her eighth studio album in December 2012, and enlisted will.i.am as its executive producer in May 2013.On September 17, she appeared on Good Morning America to announce her two-year residency show at Planet Hollywood Resort and Casino in Las Vegas, titled Britney: Piece of Me. It is scheduled to begin on December 27, and will include a total of 100 shows throughout 2014 and 2015. - And finally you need Supernatural Ep sliders. - Her face was sculpted with the use of sliders multiplier only, so you don't need to download it HERE (x3) unless you want to change her face sculpture. Extract the sim. file from the zip.Place in My Documents/Electronic Arts/The Sims 3/SavedSims. In the game, go to the Premade Sims Bin in Create A Sim (CAS). - A big thanks to SimmyRN, k2m1too. herculean, FREEDOM_55, Namiex3, monca533 for helping me in the CFB.